Over the recent three-day weekend, the teaser for Hulu’s mysterious and obviously Stephen King-related Castle Rock was viewed more than a million times, though not much was revealed about the show. Fans had little to go on other than the many references to King’s body of work and the obvious involvement of J.J. Abrams via his Bad Robot Productions. As of this morning, Hulu has since confirmed their order of 10 episodes for the original series’ first season. The co-production between Hulu, Bad Robot and Warner Bros. Television will be overseen by writers/executive producers Sam Shaw and Dustin Thomason (Manhattan). Production is set to begin sometime this year. A psychological-horror series set in the Stephen King multiverse, Castle Rock combines the mythological scale and intimate character storytelling of King’s best-loved works, weaving an epic saga of darkness and light, played out on a few square miles of Maine woodland. 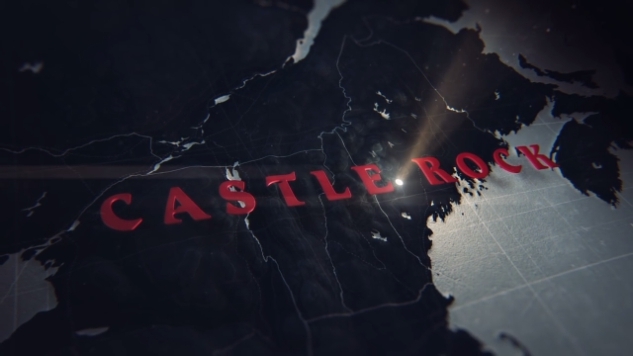 The fictional Maine town of Castle Rock has figured prominently in King’s literary career: Cujo, The Dark Half, IT and Needful Things, as well as novella The Body and numerous short stories such as Rita Hayworth and The Shawshank Redemption are either set there or contain references to Castle Rock. Castle Rock is an original suspense/thriller—a first-of-its-kind reimagining that explores the themes and worlds uniting the entire King canon, while brushing up against some of his most iconic and beloved stories. The series marks the second collaboration between the three companies on a King property after last year’s 11.22.63, which starred James Franco. Two other adaptations of King’s work are set for release this year in the form of Nikolaj Arcel’s (The Girl with the Dragon Tattoo) The Dark Tower and Andrés Muschietti’s (Mama) It. The films will be out in July and September, respectively. If you haven’t seen the Castle Rock teaser yet, go ahead and check it out below.